All of our hanger accessories are specially designed to customise your clothing rails functionality so that they cater to your merchandise. Our S hooks can be used to create an array of interesting displays. S-hooks are a versatile way to hang a variety of items around the home or in a store display. They can even be used to display jeans! 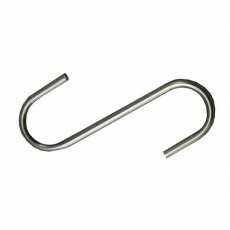 Extend the benefits of your clothing rails by investing in high-quality hanger accessories. Our clothes hanger stackers are designed to sit neatly behind a serving desk or in a stockroom to keep your retail space as tidy as possible. But the benefits of clothes hanger stackers do not end there. They also prevent damage that can be caused to hangers when they are stored away in boxes, as the hangers won’t get caught on one another. In addition, storing hangers safely away in a stack will prevent your staff from spending as much time trying to find the correct hanger. A tie hanger is a perfect way to display 20 ties at the same thus saving space in your store. Our tie hangers are practical but we have also ensured that a lot of attention has been placed on the craftsmanship of these pieces. Discover tie organisers that exhibit elegance with warm oak panels offset by modern chrome hooks. 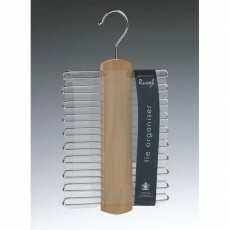 A robust must-have, an accessory hanger will prevent your small items from becoming disorganised. 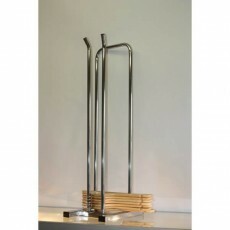 They are suitable for a vast range of accessories and they are equipped with 12 durable chrome hanging hooks. We established ourselves back in 1864 and are one of the oldest shop fitting display suppliers in the UK. If you have any queries about ordering online please do not hesitate to contact one of our friendly advisors. We will be sure to get in touch with you as soon as possible.